Reach Up - Worship — Welcome Home to Zion! Reach up to God! Join us this Sunday for worship. Worship: def. - to give praise and thanksgiving to God. This is what we do as faithful people of God; we gather weekly to return to God our praise and thanks. Worship is a balance of Word and Table, as the early church worshiped, as reported in the Bible (The book of Acts). The Word is the Gospel of Jesus Christ, as found in the Bible books of Matthew, Mark, Luke, and John. The sermon is a vital tool for the pastor and spiritual leader of the congregation to teach the meaning of the Gospel passage and how it can be applied to the lives of the faithful. The Table refers to the prayers and gifts we bring to the altar for the Lord. Prayer is a two-way means of communication with God. Our gifts are bread, wine, tithes, and donations. The Lord returns to the faithful the gifts of bread and wine in the sacrament of the Eucharist (also known as Mass or Holy Communion). In the United Methodist Church we recognize two sacraments: Baptism and Holy Communion. Baptism is what makes a person a Christian- a follower, a disciple of Jesus Christ. It is God’s gracious acceptance of the person into the community. It is God’s acceptance; therefore, Baptism may take place at any age. Because it is the initiation into the community of faith, it is most appropriate to take place in the worship setting. Baptism can only be done once in life, is done using the symbolism of water sprinkled or poured over the head, and is recognized by most other mainline Christian denominations. If Baptism takes place at an early age, children have an opportunity to confirm what was done on their behalf by taking Confirmation classes and formally joining the membership. This is generally done when the child is in the 7th or 8th grade. Confirmation classes are held in the Spring of each year. For more information, read our FAQs about Baptism. 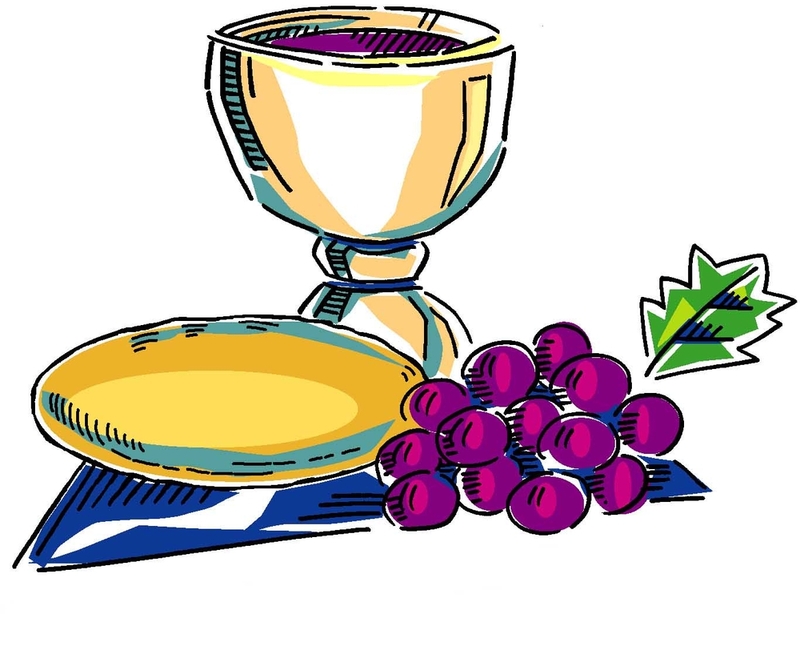 Holy Communion, also known as Eucharist, is generally held the first Sunday of each month and on other special days. The liturgy is the same at all services. We alternate between using a common loaf and cup (which necessitates Intinction- the dipping of the bread into the wine) and using prepared bread and individual communion cups. We also alternate the practice of being served at the altar rail and being served at the front of the aisle. At all times, people are welcome to sit, stand, or kneel at the altar rail in prayer. Gifts for the Walworth Food Pantry may be left at the altar rail during any service where Eucharist is celebrated. Non-perishable food items, personal health care items, and gifts of money are gratefully received. This continues the first century practice of tying the Eucharist with mission for those in need. All who desire to draw close to Jesus are welcome to receive communion in The United Methodist Church. The table is open to people of all ages, races, and conditions. All those physically unable to approach the table may be served in their seat- please make your needs known to an usher. Weddings. Weddings are a joyous time, marking one of life's most wonderful passage. It is appropriate to call the worshiping community together to witness the making of vows and to give God thanks for the love that brought the bride and groom to this moment. To schedule a wedding- call [(585) 703-9235 cell, (315) 524-2982 home office] or email (toddgoddard@gmail.com) pastor Todd. Include your name, address, phone number, and requested date. A confidential form will be sent to you by the pastor for you to fill out and return. Once returned, the rehearsal and wedding dates will be reserved on a first come, first served basis. The pastor will call the couple to set up a time for a pre-marital consultation (1 to 2 hours) before the rehearsal. There are no fees for contributing members and friends of Zion. For those not already recorded as contributing, the fees are as follows: $150 church, $150 pastor, $50 pianist, $20 custodian. A valid marriage license must be presented to the pastor, along with payment of all fees, at the rehearsal. Funerals. Funerals are a time to grieve the loss of a loved one and to give thanks to God for their life. Calling hours, funerals, and memorial services can take place at the funeral home or at the church building. It is greatly suggested that funerals and memorial services be held at the church building, with a closed casket, for church members and friends. The family entrusts the arrangements to the funeral director. The pastor is entrusted with the worship and rituals of the church. It is helpful that the pastor be notified of impending sickness or death, so that pastoral care can begin at the earliest possible time. When the family makes arrangements with the funeral director, they are to request that the funeral, memorial service, and / or internment be conducted by Zion's pastor. It is the responsibility of the funeral director to contact the pastor and to finalize arrangements for the worship and ritual components. The pastor will arrange to meet with the family to plan the services and to consider other church arrangements. There are no fees for members and friends of Zion. The funeral director may request that a gift be made to the pastor. For funerals of those not affiliated with the church family, the fees are collected by the funeral director, and are $100 - $150 for the pastor and $50 - $100 for the pianist. Additional services will require additional fees. Pastor: Todd R. Goddard, 585 678.1893. E-mail. Lay Leader: Sharon Boyd, 315 524.9047 home, E-mail.